It is strange that until last weekend, visiting this most iconic landmark of Helsinki never appeared in my ‘to-do-list’. But better late than never! I am glad that I finally made it to this dazzling structure. 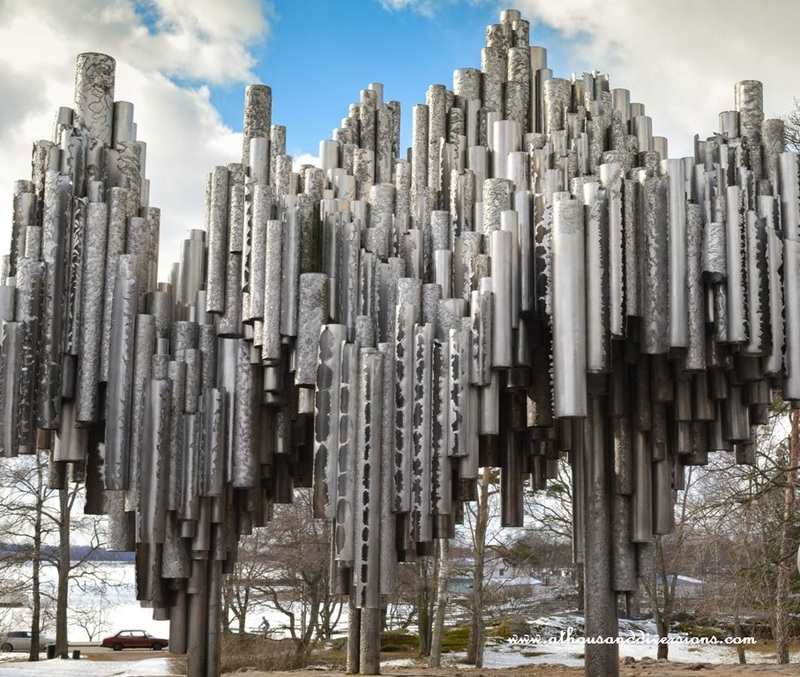 The structure is an abstract installation dedicated to Jean Sibelius, undoubtedly, the greatest musician in the country. 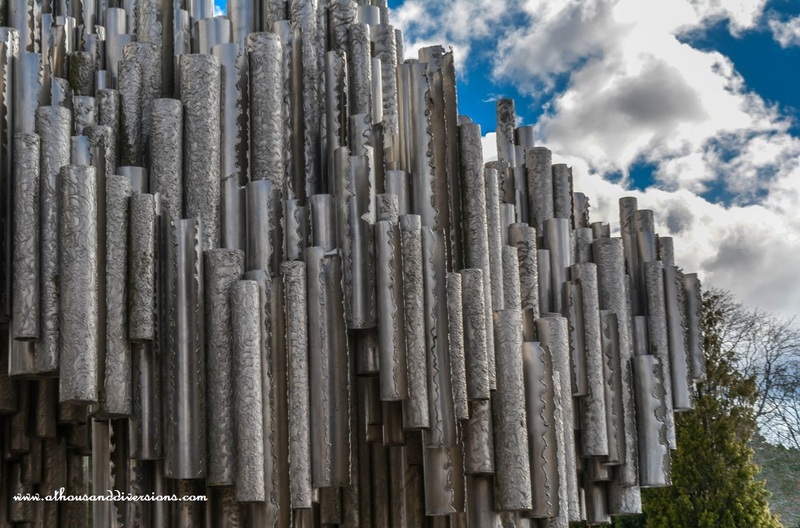 Sibelius monument is a steel structure of hollow tubes resembling Organ Pipes and is meant to signify the essence of the musician’s work. 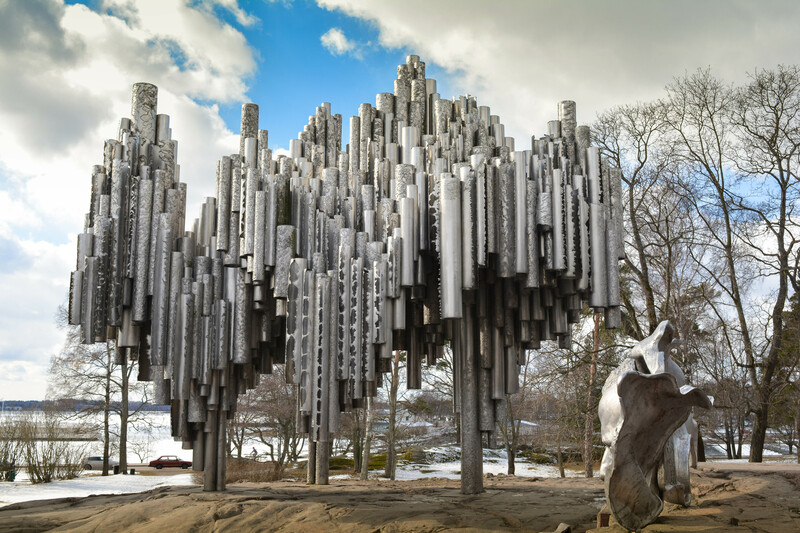 However, there have been lots of debates regarding the installation as the musician himself never played organ pipes. Debatable or not, it looks beautiful,especially, with a clear sky at the backdrop. We didn’t happen to visit it on such a day. Still, we saw the sun playing hide and seek with the clouds which only added lots of character to the view and the images we took. 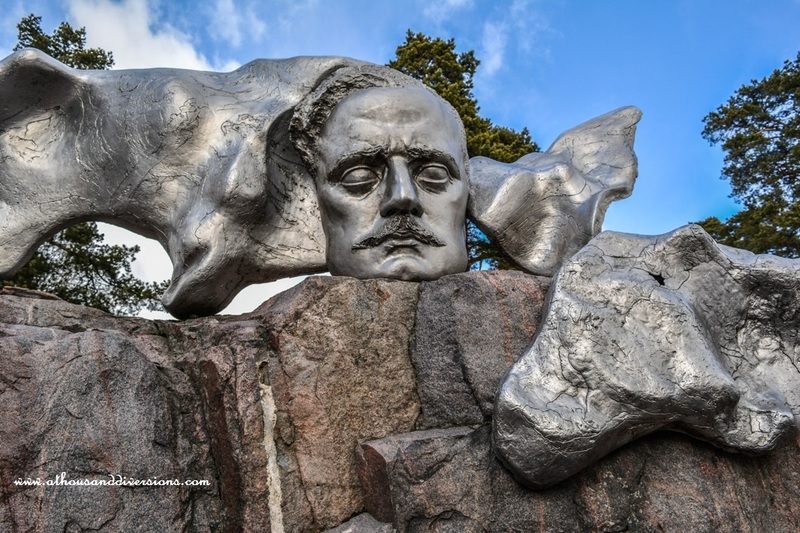 The park where Sibelius Monument is located was covered in snow during the time of our visit. But during the summers it turns into a beautiful garden ideal for leisurely walks and picnics. 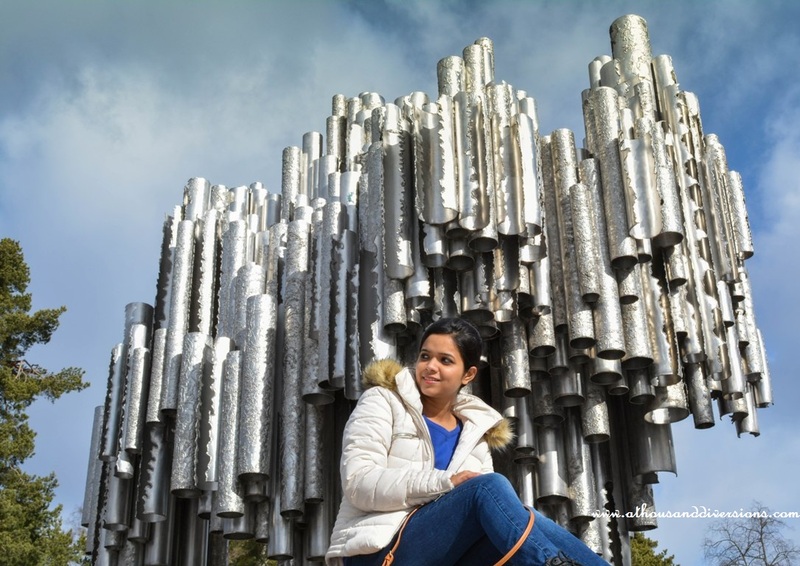 The monument is made of more than 600 hollow steel pipes clustered together. It depicts the soul of music. A miniature version of the monument by the same artist is located at the UNESCO Palace in Paris.